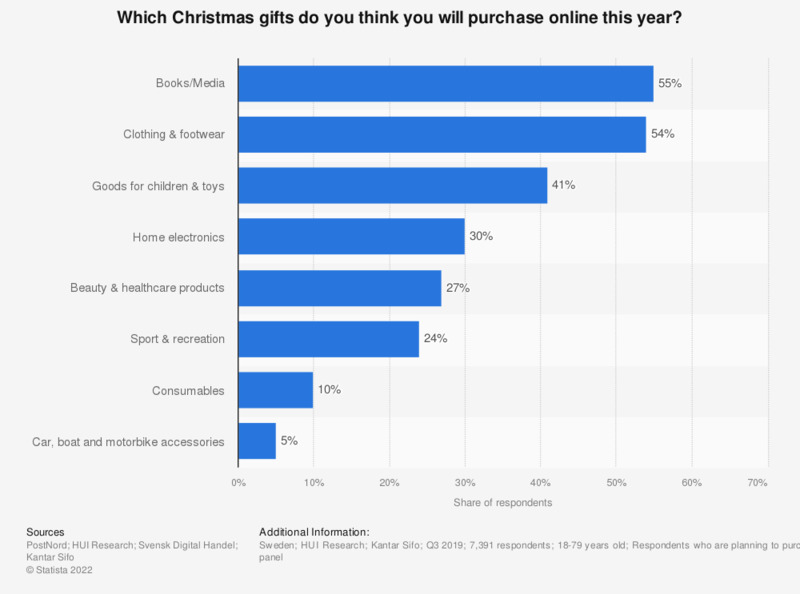 This survey shows the which Christmas presents consumers were planning to buy online in Sweden in 2016. 17 percent of respondents were planning to buy children toys and other children goods online for Christmas that year. October 1,603 and 3,001 respondents. The survey represents 95 percent of the Swedish population who has access to the internet.